Is My Device Good for Fingerprinting? 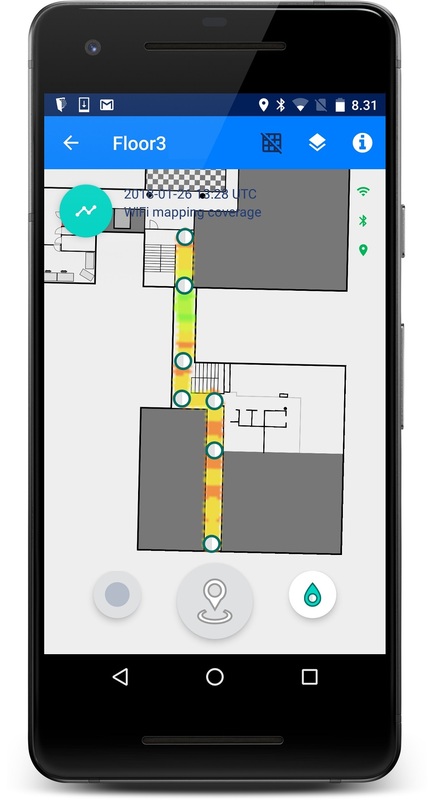 The mapping devices recommended by IndoorAtlas are listed in supported devices. In case you don’t have any of the devices in the above list at hand, you can test if a device you possess matches the criteria of a good mapping device. 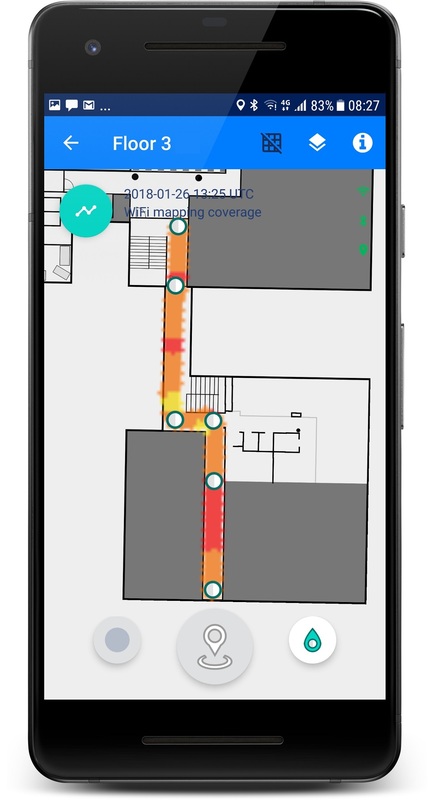 Install IndoorAtlas MapCreator on the device. This verifies that the required sensors exist. MapCreator requires hardware magnetometer and gyroscope sensors with access to uncalibrated data. Do gyroscope and magnetometer calibrations using MapCreator. This verifies that the sensors function well. Record one path, longer than 20m. Wi-Fi mapping coverage image after a single path is orange-green. Wi-Fi mapping coverage image is green after collecting two overlapping paths on the same corridor. 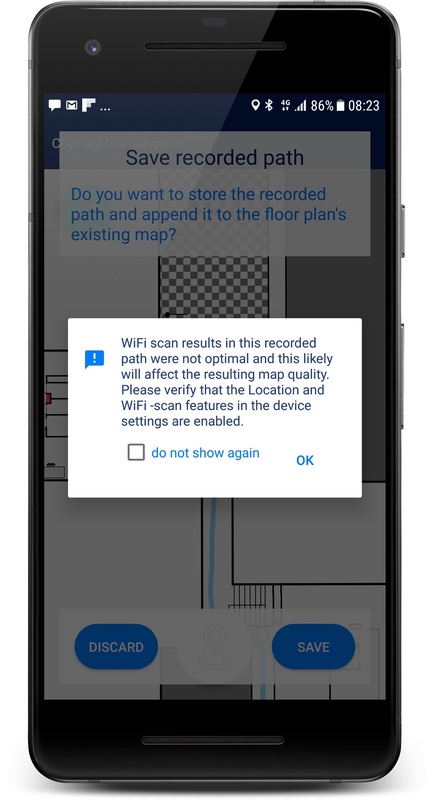 MapCreator warns about Wi-Fi scanning quality. See image below. Wi-Fi mapping coverage image after single path from MapCreator is red-orange. 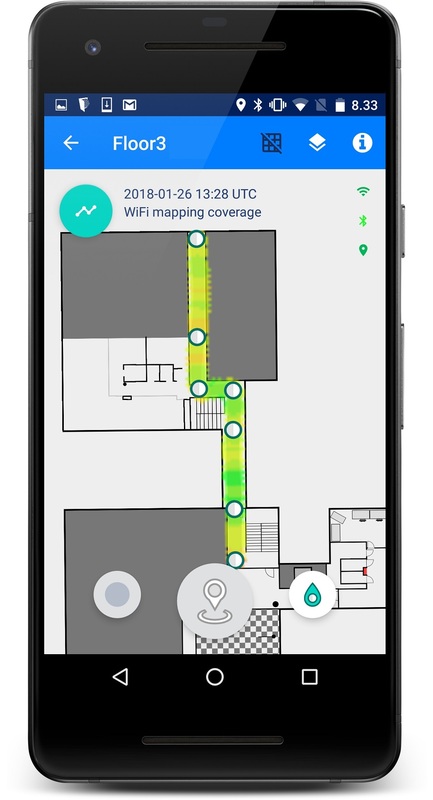 Wi-Fi mapping coverage image is not green after collecting two overlapping paths on the same corridor. Note that in practice using a device that is not recommended means that you need to spend more time mapping on the same areas to achieve similar performance. This may be acceptable for small scale testing, but is not practical in production mapping. To emphasize, neither of the devices produces ideal Wi-Fi mapping coverage on a single pass through a corridor/area. After a second path through the corridor the coverage image of the recommended device gets green. Note that in wide corridors IndoorAtlas also recommends two parallel paths to achieve good geomagnetic coverage.